Todd Leech received a MFA in ceramics from Edinboro University of Pennsylvania in 2008. Presently he is a full-time studio artist and manages the operations of a fully equipped ceramics studio in Cleveland, OH. Todd maintains a busy exhibition schedule with local, regional and national shows. Artist residencies play an important role in Todd’s professional development. 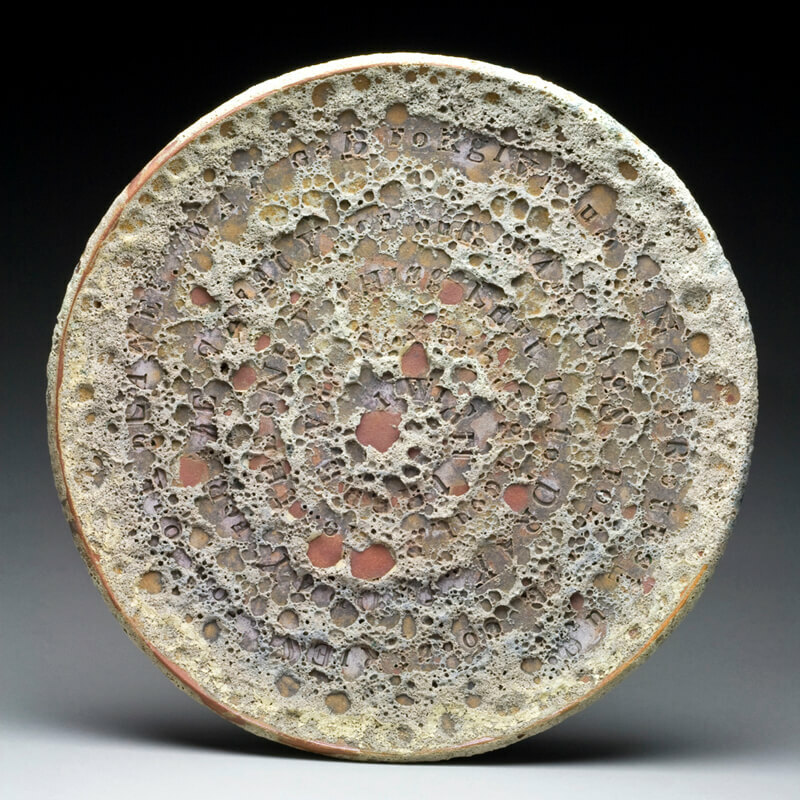 Todd has participated in several residencies in recent years: Medalta International Artists-in-Residence Program, Alberta, Canada (2014, 2008), Watershed Center for the Ceramic Arts, Newcastle, ME (2013), Guldagergaard Ceramic Research Center, Skaelskor, Denmark (2011). My artwork addresses the themes of time, mortality and disintegration. I explore these themes in the form and surface of my work. Sandblasted dry crater glazes give the finished work the appearance of being eroded over time. I grew up and currently live in Cleveland, Ohio; the corrosion and decay of the rust belt informs my aesthetic. The progression of time is further demonstrated by my impulse to work in series and multiples. As well, I employ obsessive, sometimes excessive, pattern and repetition. Countless drilled perforations attest to compulsive and time-consuming habits. My current works are divided between two types of pieces, sculptural wall forms and platters imprinted with text. The texts are excerpts from contemporary pop culture, often lyrics. The content of the texts deal with advanced technologies and its influence on modern humankind and the environment. These quotes, like prophecies or declarations, are archived in clay, not unlike the historical inscribed artifacts of past civilizations. In the sculptural wall pieces I am thinking of ways to alter and break up the boundaries of a typical platter form. Many extruded tubes reference motion, activity and energy.